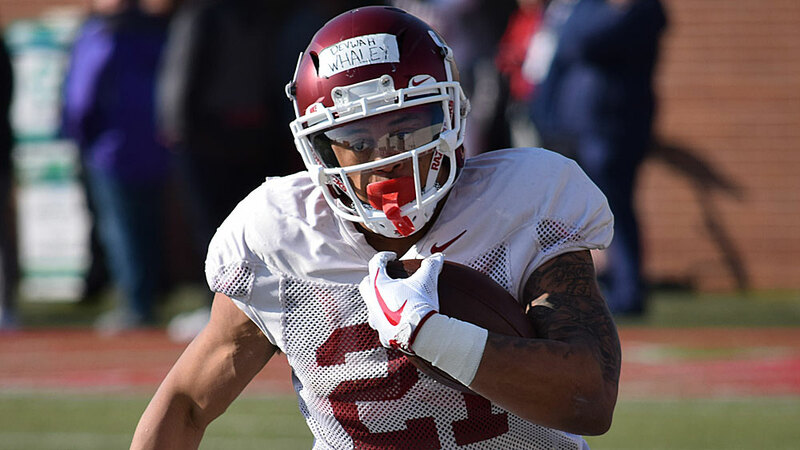 Devwah Whaley and his Arkansas Razorbacks teammates fell 52-6 on the road to a stout defense at Mississippi State. Whaley made his return from ankle surgery he had 4 rushes for 16 yards and he also held onto a catch for 2 yards. Following a Razorback fumble, the Bulldogs also fumbled the ball and Whaley recovered to give Arkansas a fresh set of downs.